During its Investor Day event today, Disney announced its upcoming brand new streaming. Titled Disney+ (or DisneyPlus), the service will offer an assortment of titles and original content from Disney’s vast library of content spanning such intellectual properties as Marvel, Star Wars, Pixar, Disney Animation and eventually, Fox. This was not a vague announcement however as Disney demoed the service’s interface, offered a sample of what content we can expect, and also took the lids off pricing which, as we see, sounds a lot more affordable than everyone imagined. Among the prime shows that constitute Disney+’s original content is the Star Wars show The Mandalorian. Directed by Jon Favreau and produced by Kathleen Kennedy of LucasFilm, The Mandalorian has been in the works for the better part of a year. It’s described as a Star Wars show in and out, with the adventure, scale and heavy-duty visual effects we’ve come to expect from the movies set in a galaxy far far away. It’s been under development for the better part of 2 years now (a trailer should be imminent any time soon) and is largely characterized by the singular Boba Fett lookalike image that’s highlighted on the streaming service’s only official publicly released still thus far. Disney has also arranged deals for the original Star Wars movies – Star Wars: Episode IV – A New Hope, Star Wars: Episode V – The Empire Strikes Back and Star Wars: Episode VI – Return of the Jedi – to be available on the service, with more recent releases such as The Last Jedi and Rogue One: A Star Wars Story becoming available within the year. It’s safe to say in a few months, Disney+ will become the sole home to Star Wars movies and other related properties. Under Marvel Studios, Disney brought Kevin Feige on stage to announce a bunch of new series. 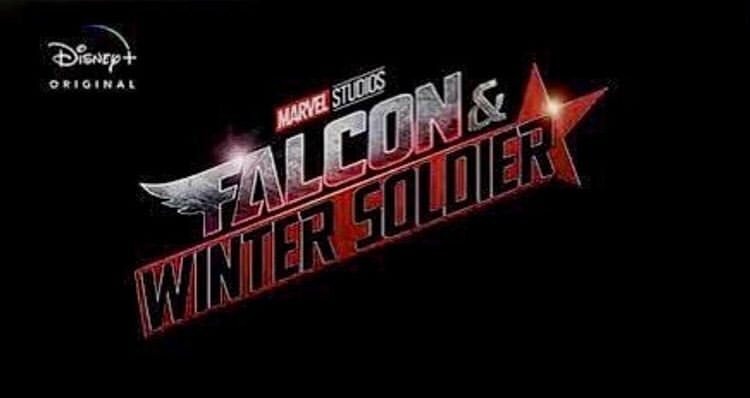 Falcon & Winter Soldier will chronicle the adventures of Captain America’s present and past buddies, giving us an opportunity to learn more about these characters. Ditto for WandaVision, an episodic series featuring the Scarlett Witch and Vision who first appeared in Marvel’s Avengers: Age of Ultron. Finally, Loki will feature the character’s trademark mischief as we see him on his own stories. As fans would note, all these characters died at the hands of Thanos in Avengers: Infinity War so it remains to be seen how they will be brought back. Naturally, Feige was unclear whether the series will be set in the future or past, though they are very much a part of the Marvel Cinematic Universe with the cast looking to reprise their roles. We should thus see Anthony Mackie, Sebastain Stan, Elizabeth Olsen, Paul Bettany and Tom Hiddleston return. Feige also talked a bit about Marvel’s existing releases. Starting with Captain Marvel, all future releases should be available on Disney+, with Carol Danvers’ female-led billion dollar grossing movie arriving on day one (as would presumably Avengers: Endgame). Eventually, the plan is to have all MCU movies be a part of the Disney+ service. Whether that means some more behind-the-scenes content from those movies making their way to the service remains to be seen. And in a rather intriguing bit of original content, Marvel Studios will produce a What-If animated series highlighting an alternate universe examining some of the weirder possibilities of the MCU. For instance, the first episode will deal with a scenario where Steve Rogers was never injected with the super-soldier serum, but instead Peggy Carter was. These should be really fun and Marvel Studios should be able to adhere to and fulfill fan-requests to conceptualize these stories. In addition to its hot brands, Disney+ will also feature the studio’s complete animated films catalogue. Additionally, all 13 animated Pixar films (including their short films) will be made available on the service, including the likes of Toy Story, Monsters Inc. all the way up to Frozen and the upcoming Frozen II (which will first become available on Disney+). The Simpsons will also be exclusive to Disney+. Disney also talked a bit about the Indian streaming service Hotstar which, after its Fox acquisition, fell under the studio’s umbrella. With a growing video market comprising of over 500 million users consuming up to 6 GB of mobile data, that’s a huge potential market to tap into. Disney+ will be available in the United States this fall, specifically sometime around November 2019. The service will cost users $6.99 per month or $69.99 a year. That’s a fairly decent price for all the content you’re getting access to, although it remains to be seen how much of original content Disney produces for the service; it’s movies after-all are largely seen by audiences globally in their theatrical release itself, as is evident by its earnings. Disney’s 44 movies since 2006 have grossed a cumulative total of $37 billion, averaging to a mighty impressive $850 million per movie. That’s a hell of a track record to have and its acquisitions of Marvel and LucasFilm have been instrumental in adding to the totals (the MCU movies alone have made close to $18 billion, and Avengers: Endgame is about to release this month). A lot of this has been under speculation for a while now, including the potential TV Shows that Disney could produce under its streaming umbrella. Recently, there were also talks of a Hawkeye series under consideration, where Clint Barton passes the mantle to Kate Bishop. That, however, wasn’t announced today. Regardless, it’s an exciting time for the streaming service industry and Netflix is about to get some serious competition.